Al Bustan Rotana, Dubai strengthened its reputation as a multi-awarded luxury hotel as it won Middle East’s Leading City Hotel at the World Travel Awards 2016 held recently in Dubai. Receiving this prestigious accolade for the third time, the hotel is being recognised as one of the best hospitality players within the region. 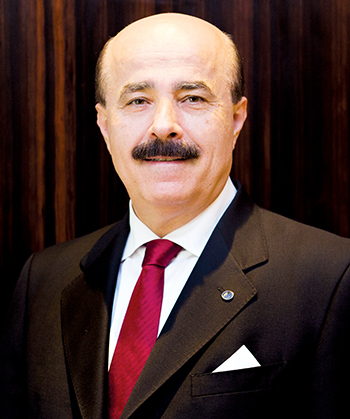 We spoke to Hussein Hachem, cluster general manager, Al Bustan Rotana Dubai and Al Murooj Rotana Dubai, for more insight. What makes you the best business hotel in town? Al Bustan Rotana, Dubai takes advantage of its ideal location only few minutes away from Dubai International Airport, which is definitely an advantage when it comes to hosting business travellers. The hotel is perfectly designed to cater to their needs and brings a touch of luxury to their journeys. In addition to its strategic position, the hotel facilities meet business requirements as it can accommodate major events with its own Convention Centre featuring not less than 11 fully-equipped meeting rooms and one of the largest ballrooms in the city. The fully-renovated Grand Rashidiya Ballroom can host up to 1,500 guests for gala dinners and social events. The Convention Centre’s layout also offers the convenience of a private entrance and parking, large pre-function hall and VIP Majlis. Additionally, we have a great expertise in handling specific protocol; we provide adapted services to ensure our guests’ satisfaction. You have a property that is quite old – this is both good and bad. Your name is well established in the market; at the same time, new hotels have an edge as people like to try new things. How do you make the heritage of your hotel works in your favour? The hotel is renowned for the outstanding quality of service delivered, we create customised experience for each of our guests, and this is what differentiates us from the competition and made our name in the market. Over the years, we have constantly updated the technology used within the hotel’s premises to ensure guests’ expectations are met. Maintaining high level of standards is our top priority and having over 20 years of experience in the market works in our favour; we know how to stay ahead of the game by setting up strategies based on what the market needs and wants. We are very well aware of the changing market trends and adapt ourselves to these changes; we strive to create treasured experience for our guests and always innovate to remain in competition with newer hotels. I would say that these are key factors in ensuring we maintain, if not increase, our market share. What are your main feeder markets in terms of Mice? Do you get a lot of local government business? Al Bustan Rotana, Dubai is also very well known for hosting numerous weddings and social events, the demand is real and we have a dedicated wedding planner to respond to it. The hotel also attracts events planners from various industries with very different profiles as well as government related events. An important part of the Mice business we get comes from local institutions. Over the years, we have been always working closely with government bodies and gained an important expertise in handling specific protocol. However, we welcome diverse type of firms looking for customized accompaniment throughout the event planning process, private companies definitely remain our main market feeder. How do your food and beverage outlets help in your Mice offering? The hotel features an array of dining options to choose from; fine Thai specialties, Japanese delicacies, popular steak house and international restaurant. The diversity of our offering is definitely a great advantage for our guests and when it comes to Mice, it enables us to come up with original proposals to step away from the traditional daily delegate package. When an event runs for several consecutive days, having a roster of food and beverage outlets along with a pool of renowned master chefs give us the opportunity to take attendees through pleasant culinary journeys and turn their event into an enjoyable experience. We are currently working on exciting project aiming to bring to Al Bustan Rotana a fresh and innovative dinning concept. At this stage, we are still putting together ideas and studying in depth all phases of this new development plan. All I can say is that it will certainly be one of the must-try restaurants in town.